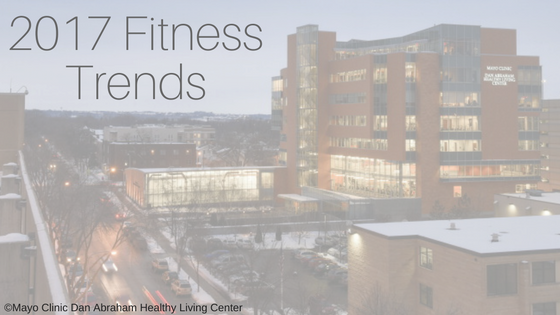 Every year, the American College of Sports Medicine's Health & Fitness Journal surveys fitness professionals around the world to find out what the top 20 trends are in the fitness world. It's exciting to find that, once again, many of our offerings are included in the top 20! We want you to know what the trends are and how our offerings match up with that trend. Below is the list of the top 20 and what we offer to our members that would support that trend (if applicable). Educated, certified & experienced fitness professionals --> That makes up the DAHLC Staff! Strength training --> There is an element of building strength in most offerings. Here are a few options: Training Studio drop-in classes; group training; Powerful Men, Powerful Women, Boot Camp, & Basics classes. Personal training --> while we don't offer 1:1 personal training, here are alternate options. If you have any questions or want to learn more about these offerings, call 507-266-4688 or stop by the front desk.